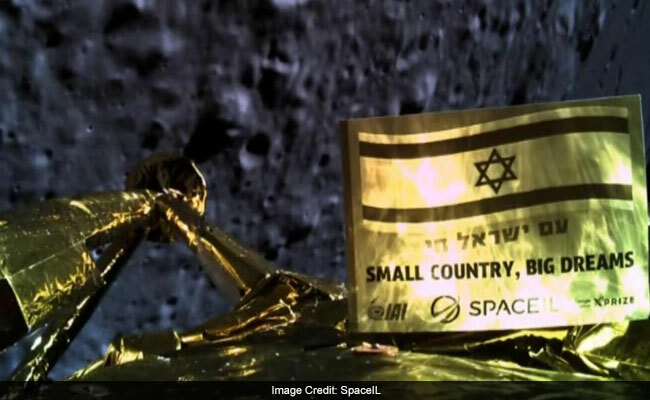 Israel was hoping to become the fourth nation ever to land a spacecraft on the moon, but the lunar mission went awry as the main engine appeared to go into failure. Beresheet was the smallest and least expensive spacecraft ever to attempt the journey from Earth to moon. "We've landed, but not in the way we wanted to," Opher Doron, general manager of Israel Aerospace Industries, which assisted in building the vessel, informed a crowd of onlookers, including Prime Minister Benjamin Netanyahu. "We've reached the moon, but we want to land more comfortably, and there will be another attempt. The very experience is a tremendous achievement, and we will become the fourth country to land on the moon if we persevere," he said. "As far as I'm concerned, the eagle has landed, the state of Israel is taking off - next time even better." Earlier he had said that for the unmanned spacecraft, named Beresheet, the Hebrew word for Genesis, the first book of the Bible, to make such a journey "was a great step for mankind and a huge leap for Israel." Morris Kahn, president of SpaceIL, which spearheaded the complicated and ambitious project, said: "Israel made it to the moon. Beresheet's journey hasn't ended. I expect Israel's next generation to complete the mission for us." The $100 million initiative was almost entirely funded by Jewish donors and foundations from around the world, though some government agencies offered support. Kahn, a South African-born millionaire, "gifted" the project to Israel and declared it a national project. He said he was hopeful that the initiative would contribute significantly to future space exploration and also to inspire a new generation of Israeli children to embrace science and realize that anything is possible. Departing the Earth's atmosphere on Feb. 21, the spacecraft initially hitched a ride on a Falcon 9 commercial rocket belonging to Elon Musk's SpaceX from Cape Canaveral, Florida. Over the past seven weeks, Beresheet covered a total distance of about 4 million miles, circling Earth several times before reaching the moon's orbit on April 4. The craft had began preparing to land on a flatter part of the moon's rocky surface, and right before it crashed managed to capture an image of the moon showing how close it had been to completing its mission. Seven countries have attempted to land on the moon, but only three have succeeded so far - the first unmanned landing was by the former Soviet Union in 1966, then American astronauts Neil Armstrong and Buzz Aldrin reached the moon in 1969, and in 2013 there was an unmanned landing by China. All were government-sponsored endeavors. The idea for Beresheet began in 2010, when three young Israeli entrepreneurs signed up to compete for the now defunct Google Lunar X Prize. Yariv Bash, Kfir Damari and Yonatan Weintraub hoped to win the $20 million prize by landing an Israeli-built unmanned spaceship on the moon. Though they failed to win the prize - no one did - they went on to create SpaceIL. The project not only gained financial backing from private investors, it also got support from Israeli government agencies such as Israel Aerospace Industries and the Israel Space Agency. It was these connections that last summer helped facilitate agreements with NASA and Musk's SpaceX. Israelis have already experienced their share of disappointment and tragedy when it comes to space travel. Israel's only astronaut, Ilan Ramon, was among the seven-member crew of the space shuttle Columbia when it disintegrated upon reentry into the Earth's atmosphere in 2003.